Is the care of your log home or log cabin keeping you up at night? Are you having trouble sleeping thinking about your log home’s issues you need to address? 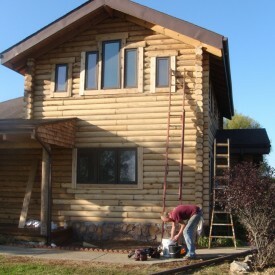 Then, wake up to call 888-LOG-GUYS for a free estimate on any of the following services: log home restoration, log home repair, log home chinking and caulking, log home improvement, and log home maintenance. 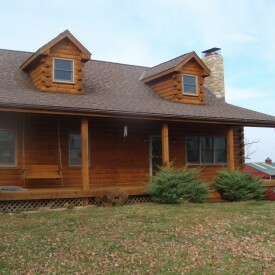 We are determined to serve you and your surrounding community with your log home needs! We would love to help you in any way that we can! 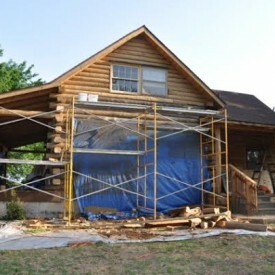 Are you wondering if your log home or log cabin needs to be restored? Are you not sure when the last time the home was cleaned or stained? Don’t wait to get your answer! 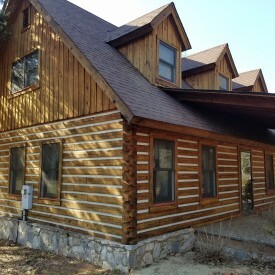 Contact the staff at 888-LOG-GUYS to help you determine your log home needs. Our crew uses media blasting, sanding, a borate treatment, an energy seal, and staining to rejuvenate your log home to its original beauty. 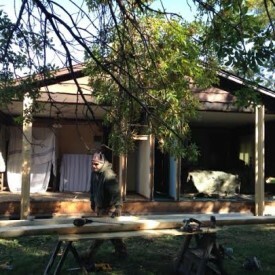 Call us or send a request online for a free consultation and estimate! Without proper care, logs can develop rot and become weathered. Logs are also susceptible to hungry bugs or hungry birds looking for bugs. If your home has logs that need repair, contact 888-LOG-GUYS with your concerns, and we will give you the best solution to your particular problems. 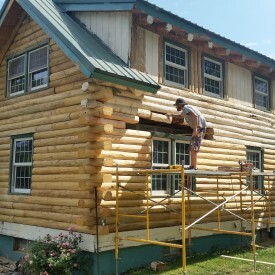 Our crew is no stranger to repairing and replacing logs and bringing back the health of your log home. Let us help you! Call or request an estimate online! Have you noticed bugs invading your home? Have you felt a disturbing air draft around your window? Have you seen any water leaks? At 888-LOG-GUYS, we know how to solve your problem and make those annoyances go away! We can use an energy seal, chinking, or caulking to fill in those gaps in between your logs, keeping out what needs to be kept outside. Don’t feel like you need to put up with it any longer! We serve the Jackson Tennessee area, and we look forward to serving you! Yeah, you have the life with your beautiful log home. But, you feel as though you could have some improvements. Call 888-LOG-GUYS, and tell us what you have in mind! 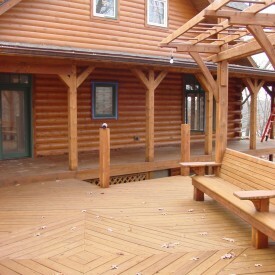 We have built log staircases, log railings, decks, and porches to personalize and increase the value of our customers’ log homes. Your home will be under the care of our crew’s knowledge and experience constructing log home additions to improve its beauty. You can trust us to do the best job of making your dreams a reality! If you just moved into a log home for the first time, you may be wondering when it will be due for a thorough cleaning. Don’t just guess! Call 888-LOG-GUYS, and we will help you figure out the best time to have your log home or log cabin cleaned to keep it properly maintained. We are ready to help you with the upkeep of your home, and you can trust us to be sure your home is getting the treatment it deserves!